TechArb Student Venture Accelerator serves as the training ground for University of Michigan students to become tomorrow’s leading entrepreneurs.Portfolio companies receive premier access to expert mentors, tailored programming, material support, dedicated workspace and — perhaps most importantly — a community of like-minded, high-achieving peers. These resources comprise a critical component of entrepreneurial education, empowering students to take their classroom learning and put it into practice for real-world impact. The TechArb Accelerator launches companies that are ready for the next stage of investment. Our graduates have received an experiential education in evidence-based entrepreneurship, start-up culture, and triple-bottom-line business planning. They are primed to be highly influential in whichever sectors they operate. Throughout this training, we place heavy emphasis on not only business development, but also professional and community development. In the TechArb Accelerator, forward-looking students from any level and discipline come together for an engaged learning experience that prepares them to be tomorrow’s foremost problem solvers and thought leaders. 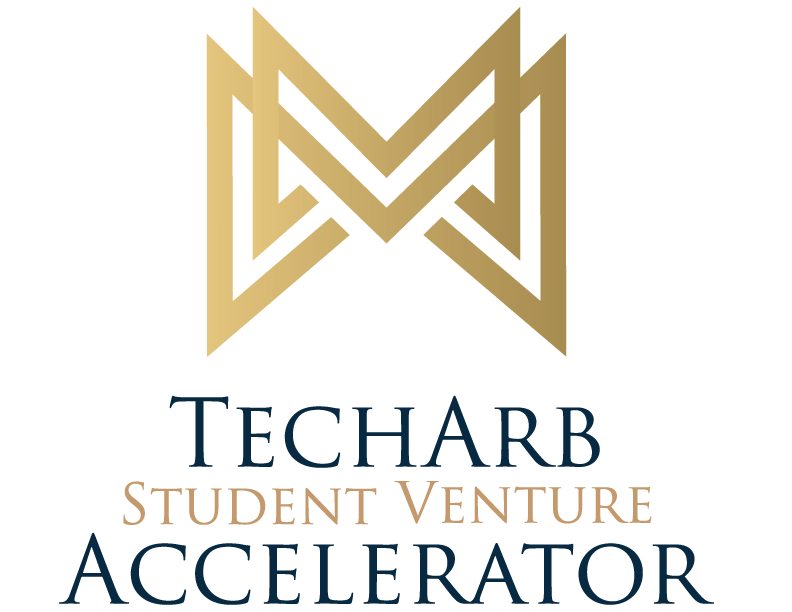 The University of Michigan has a long-standing tradition for both academic excellence and societal impact; the TechArb Student Venture Accelerator joins that tradition and carries it forward.